Have you been to our annual Dogs and Dogwoods event? It’s always one of our most paw-pular events of the season! We love hosting dog-friendly days in our gardens, but this event is about so much more than a day out with our favorite four-legged friends. Dogs and Dogwoods is a celebration of our significant dogwood collection, one that is unique of its kind. The dogwood genus, Cornus, contains around 40 species and many cultivars of deciduous trees and shrubs, mainly of north temperate climates. 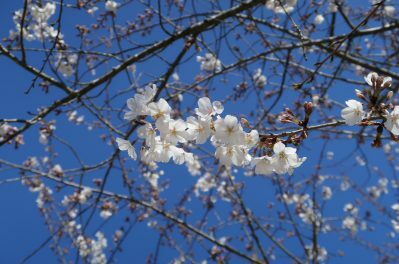 Dogwoods are grown for their showy flowers, colorful bark, and their architectural, nearly horizontal branching pattern. The flowers are actually very small and are surrounded by larger bracts that range in color from white to dark pink (bracts are similar in appearance to petals, but they are modified leaves). The Carell Dogwood Garden at Cheekwood is the centerpiece of our Nationally Certified Cornus Collection. It is also the very first collection of its kind to be recognized by the Plant Collections Network, a collaborative effort between the American Public Gardens Association and the USDA-Agricultural Research Service. What began as just a few specimens donated to us in 1982 by Mr. and Mrs. Monroe Carell Jr. has expanded into a trail located between the Daffodil and Burr Gardens, complemented with other woodland vegetation common to Middle Tennessee. Plant collections relate to a garden’s mission. Cheekwood aims to be a primary source for horticultural display, education, research, conservation, and enjoyment. 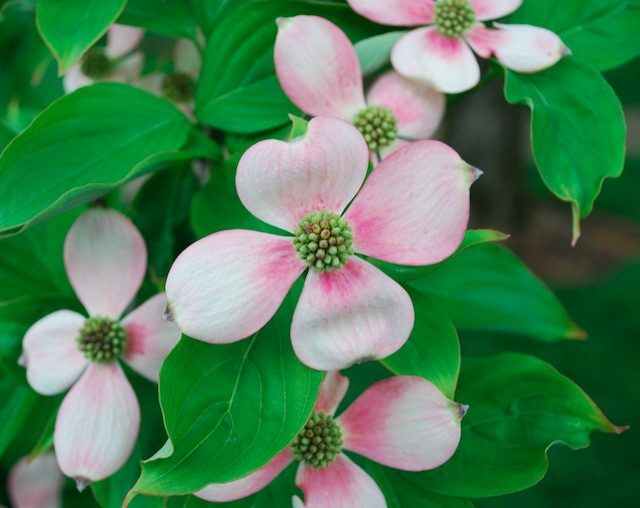 Dogwoods are well suited for Cheekwood because not only are they undeniably beautiful but also, Tennessee native Cornus florida provides visitors with a sense of place. Currently, we display 228 specimens of Cornus, including 14 different species. 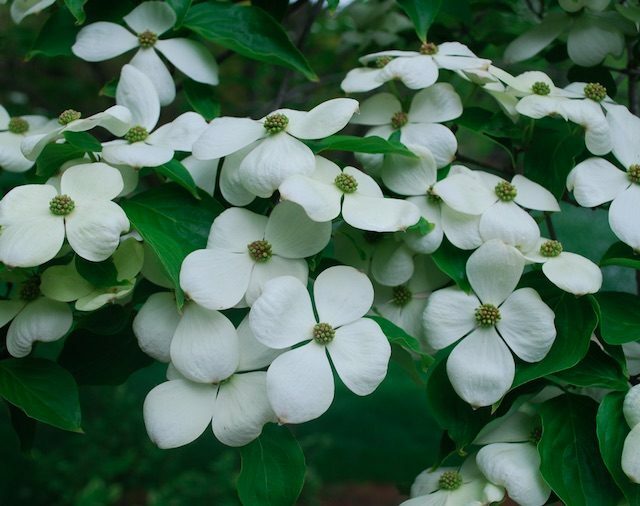 Cheekwood’s 23 cultivated varieties of Cornus florida have been selected to represent an emphasis on varieties exhibiting superior blooms, foliage, growth habit, vigor, hardiness, as well as disease and insect resistance. Other than the picturesque flowering dogwood, Cheekwood is also the proud home of several Cornus officinalis (Japanese Cornel Dogwood), which blooms in February, and the evergreen Chinese dogwood (Cornus angustata), which blooms in early June. Growing along the shaded trail beneath the dogwood canopy, visitors will also see spring bulbs, hostas, hydrangeas, trilliums, ferns, gingers, and heucheras. Within the past year, our plant collections has taken a positive turn with the conversion of our plant records to Iris BG, establishment of the Plant Collections Committee (a subcommittee of the greater Gardens Committee, composed of longtime friends of Cheekwood from within the community), and our new relationship with Tennessee State University to facilitate student projects based on ArcGIS to begin attaching geographical data to our plant accessions. Cheekwood has a well-developed Plant Collections Policy, and enhancing and expanding the Cornus Collection remains our #1 collecting mission. As an example, we have successfully leveraged two major expansions against augmenting the collection and have plans to add 68 new dogwood specimens between at least four different species and varieties in the next fifteen months.